In this post, I’m going to pull back the curtain with a few things that are probably going to make a few people mad at me. 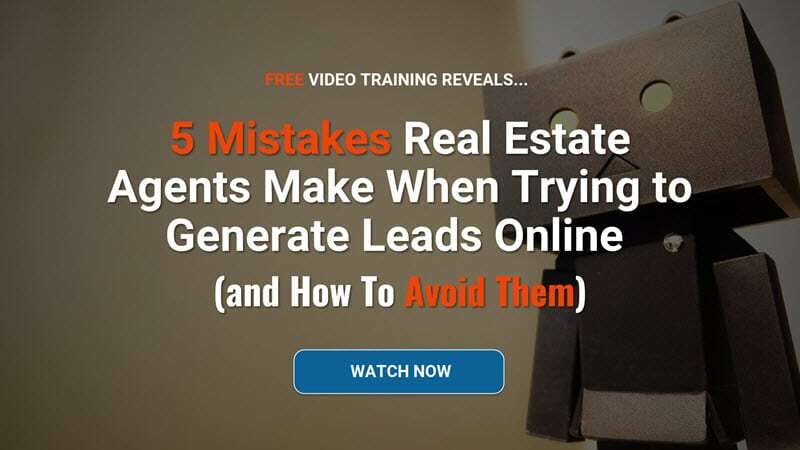 I’m going to reveal to you the 5 mistakes real estate agents make when trying to generate leads online… and more importantly how to avoid them. Before we get started, I want to give you a clear idea if this blog post is actually for you. There are a ton of blog posts giving you advice on running ads online but I’m not interested in wasting your time, as I’m sure it is as valuable as mine. This blog post is for listing agents looking for more qualified sellers so they can get more listings. This blog post is also for buyers agents who are looking to help more qualified people find the perfect homes for them. This blog post is also good for agents or brokers looking to find buyers for a unique property they are trying to sell. … then this blog post is absolutely for you. 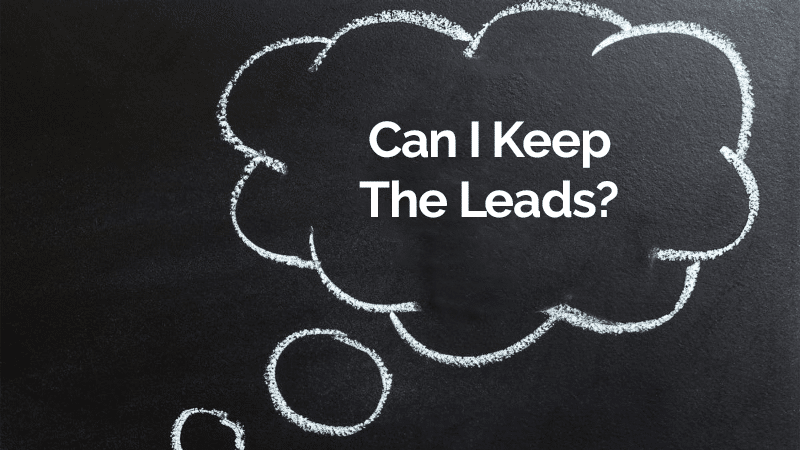 I got started with online marketing back in 1999 by asking a simple question to my then employer… Can I keep the leads? My employer had just asked their sales team if anyone wanted to learn this new online marketing game. When I first started I was doing SEO and I would optimize for a search engine called Alta Vista. That’s ok if you have never heard of it, but back then no one was really paying any attention to Google… and Yahoo was only a small blip on the radar. Finding a way to run ads online was harder until a company called GoTo came around. GoTo, which later became Overture, was a major competitor to Google Adwords. So much so that Yahoo bought them so they could compete with Google Adwords. Back when I got started there was no such thing as social media. Websites like Facebook, Pinterest, and Instagram didn’t exist. Because when I first got started doing online marketing, it was much easier to generate leads online. Over the years I’ve learned a thing or two, but it still amazes me how many people are using the same old outdated tactics to generate leads for themselves, as I did back then. When I raised my hand and asked my employer if I could keep the leads, I had no idea how much my life would change because of that one simple question. Fast forward to now and in today’s blog post I’m going to reveal to you the 5 mistakes I see real estate agents make every single day and how you can avoid them. And for those agents, those for whom what I’m about to tell you makes sense, who read to the end I’ll give you a unique opportunity to improve your business. 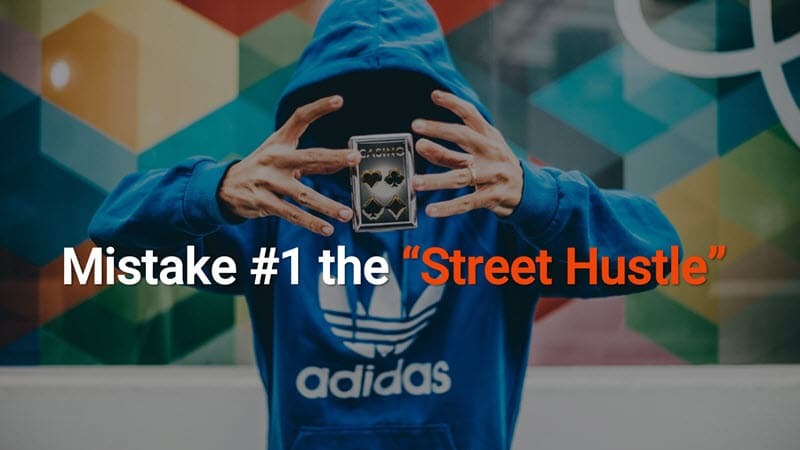 The first mistake I see happening every single day I call the “Street Hustle.” This is when real estate agents are sending traffic (real people) to a website they don’t own, specifically Zillow, Trulia, and Realtor.com. I call this the Street Hustle because the agent, which is the guy being hustled, is being conned by the street performer, the big websites, into bringing the easy target, the agent’s prospect, to the show because of the agent’s excitement on what the hustler is doing. When I see the agent post on social media, send an email, or tell someone to look them up on Zillow, it makes me cringe and want to throw up. To me that would be like telling a hot prospect ready to buy, that I’ve never met, to go to a meeting full of real estate agents to try and find me. It may work, but I wouldn’t hold my breath that I’ll actually get to talk to that prospect again. For all you know they could be guilted into using some long lost buddy/friend/extended family member as their agent instead of you. The big websites just conned another agent into sending a quality lead to their website that they can sell to that agent or another one. It doesn’t matter to them because they get paid. Sending your traffic to a website you don’t own… It’s a bad idea. Instead, always, and I mean always, send prospects (or anyone) to a web property that you control 100% of the information that is contained on it. Your first interaction with them should never be “Look me up on Zillow” or “Find me on Facebook.” You are basically throwing the prospect away and hoping that you will be able to get them as a client some other day. Sending someone that doesn’t know who you are to your website should be your first priority when doing online marketing. I’ll explain why in mistake #4. I was on a local realtor’s website just the other day and this happened. This real estate agent, who will remain nameless to protect the guilty, was using a forced registration on the website just to view a property. If you could see me right now, my eyes would be rolling. Does this work? Yes, but only when it is used correctly and you have a really great follow up system including emails, phone calls, ads, etc. Then it starts to make sense. The Blackmailer works because the person wants the information bad enough to give you their information, but there’s a catch. Keep reading and you’ll see what I mean. I did this not too long ago at the request of a client because they wanted more lead volume for a specific property. It generated 47 leads with names, email address, and phone numbers, for about $300, but the agent wasn’t happy with the quality of the leads coming from this tactic. Doing forced registrations will generate a high volume of leads, but most of the leads won’t have good contact information. Almost everyone, with the exception of the older baby boomers, have “throw away email addresses.” You know what I mean, I’m sure you have at least one. And anyone can type in the “wrong” phone number. This isn’t 1999 when everyone was excited to hear “You’ve Got Mail.” The novelty of getting email has worn off. If you are going to use a “Forced Registration” or require an optin, then you better have a really good reason. 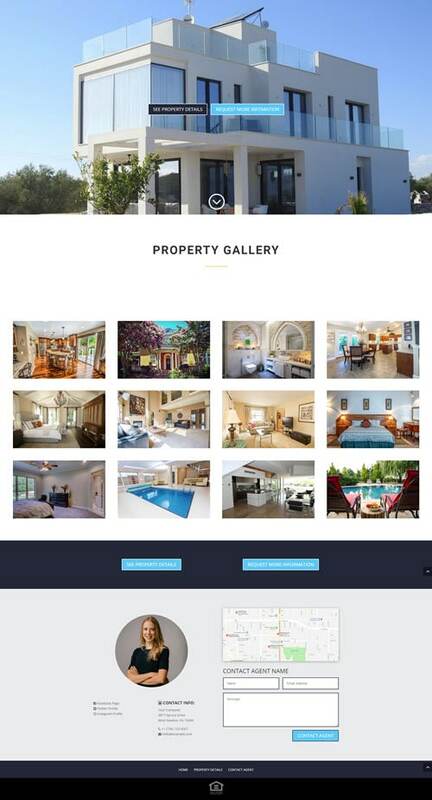 Just to view a property that with one quick search on Google will show them 100’s of websites that will let them see all the information and pictures about the property for free, is a bad idea. Where it’s a good idea is when you have to vet the buyers beforehand. This would be on an ultra luxury home or some commercial deals, when there is a legitimate situation that warrants qualifying the prospect before sharing the property information with the interested party. Off market deals, or pocket listings, would be another example of this. Instead of forcing website visitors to give you their information, optimize your website to convert more of those visitors into quality leads for your real estate business. You will generate less leads, but the quality of the leads will be higher and more profitable for you in the long run. Ultimately, your real estate business will thrive when you learn to nurture those website visitors over the long term and optimize your website for the people that are ready to buy or sell their home now. Some of you may have heard some of the crazy stats that Facebook has. The numbers are mind-blowing. For example, as of this blog post, Facebook has One Billion daily visitors and over two billion monthly visitors. That is Billion with a capital B. Insane numbers, I know. Because almost everyone has a Facebook account, some real estate agents feel like all they have to do is post to their social media page or profile and the property will sell or they will generate leads automatically. 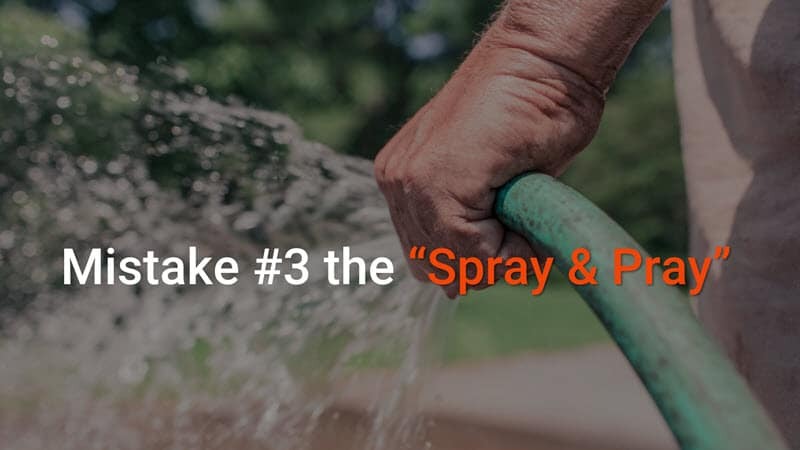 These agents will spray their information all across social media from Facebook and Instagram to Twitter and Pinterest, then pray they will get more prospects and deals. The unfortunate truth is that most social media platforms are built on advertising dollars, so if you want to get any real consistent volume of qualified prospects you will need to open your wallet and start advertising on them. If you have never advertised on social media or online, it can be really daunting. Not to mention with one tiny mistake you can run through a lot money really quickly. It reminds me of a time a guy I knew ran through $150,000 over the weekend because he made an error on his audience targeting. Don’t worry, that will likely never happen to you. If you don’t consider yourself the life of the party and the type of person that can make instant friends anywhere, then social media is probably going to feel like the second job you never wanted. As a real estate agent generating leads online, social media should be part of your strategy, not your only tactic. Running ads to websites you don’t own. I’ll explain this one, because it may not be so obvious to you, especially if you are brand new to online marketing. The greatest asset you have doing online marketing is your ability to track virtually everything that happens on your website. Tools that weren’t even invented 15 years ago, or were only available to the Fortune 50 businesses because they were so expensive, are available to you as a business owner today for pennies on the dollar as compared to back then. Your ability to track someone on your website and then advertise to that same person or people like them around the web gives you, the real estate agent, the ability to compete and win against companies like Zillow or Realtor.com. But when I see real estate agents run ads directly to Zillow, I almost shed a tear because I know that agent is just slowly killing his or her business by feeding their biggest competitors online. 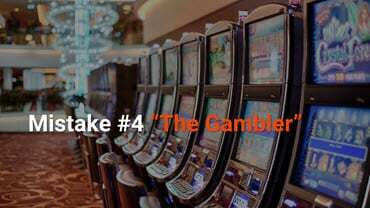 Using your hard earned dollars to run ads to someone else’s website is like handing money to a slot machine. It disappears and the house always wins. Data or Information is the holy grail of online marketing. The more quality data you have, the better the results you can produce, as long as you use it correctly. As an agent, you only ever want to run ads to a website that you can put your analytic tracking codes on. You can’t put your tracking on Facebook, or Zillow, or your broker’s site (sorry brokers for throwing you under the bus for a minute). If you have been through any training at all, you will have heard something to the effect that your money is in your list or contacts. The more people you know and that know you, the more money you will make. Your list online comes in two forms… Emails and tracking cookies when someone visits your website. Building these two lists is how you will grow your business. This is how you will make the most bang for your buck with your online marketing. Always put tracking codes like Google Analytics and Facebook analytics on your website properties. This goes hand in hand with paying for ads online. When you are using your hard earned dollars to get someone to your website, you want to have the best opportunity to get them as a lead for your real estate business. Besides seeing real estate agents run ads to Zillow or run ads to the home page of their website, this mistake is more about improving your odds by removing distractions. In the online marketing world, we use what is called a landing page when we run ads online. What makes a landing page different from a “normal” page on your website is that it is optimized for a single purpose. Remove all the distractions and give the website visitor a single option, albeit in several ways, to contact the agent. Sometimes the single property website is a landing page, other times it is a microsite with 3-5 pages on it. We’ll refer to both of these types as single property websites. It’s like the ridiculous commercial about which one is better, the left Twix bar or the right Twix bar. The focus of the conversation is about the Twix bar so no matter what choice you make, Twix wins. Which side do you like? Since it has removed all other distractions, in this case other agents and other properties, you have a better chance of generating a qualified lead for that specific property. This is great when you want to sell a specific listing. The homeowner sees the immediate value that you as the agent brings by building a website specific for their home. It’s a tool that gets you more listings. With tracking codes in place on your single property website, you will be able to show other properties for them to view using retargeting ads and directing them to your main website. Retargeting ads are the ads that follow you around the web. You’ve seen them when you visit Amazon or Zappos and the product you were looking at starts appearing on sale in ads on different websites. As a real estate agent trying to generate leads online, you are competing against huge companies like Zillow and Realtor.com, but also against other distractions and online messages. This tactic improves your odds, gets you more listings, and gives you a way to build a better list of quality prospects. The first mistake, the “Street Hustle,” is sending traffic (real people) to a website you don’t own, specifically Zillow, Trulia, and Realtor.com. Your first interaction with people should never be “Look me up on Zillow” or “Find me on Facebook.” You are basically throwing the prospect away and hoping that you will be able to get them as a client some other day. Sending someone that doesn’t know who you are to your website should be your first priority when doing online marketing. 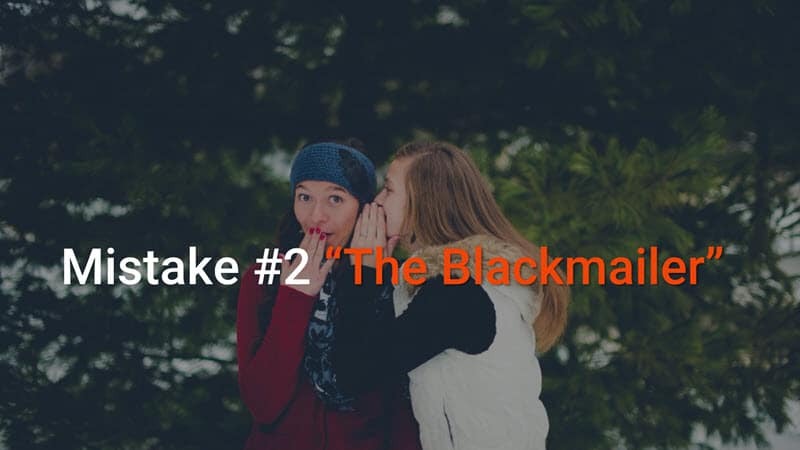 The second mistake, “The Blackmailer,” is forcing a registration for a brand new visitor. The novelty of getting email has worn off. If you are going to use a “Forced Registration” or require an optin, then you better have a really good reason. 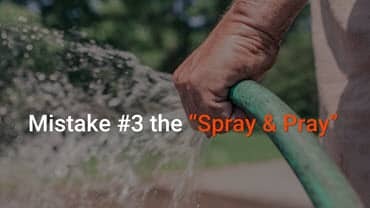 The third mistake, the “Spray and Pray” approach, is only posting on social media. As you learned today, the unfortunate truth is that most social media platforms are built on advertising dollars, so if you want to get any real consistent volume of qualified prospects you will need to open your wallet and start advertising on them. 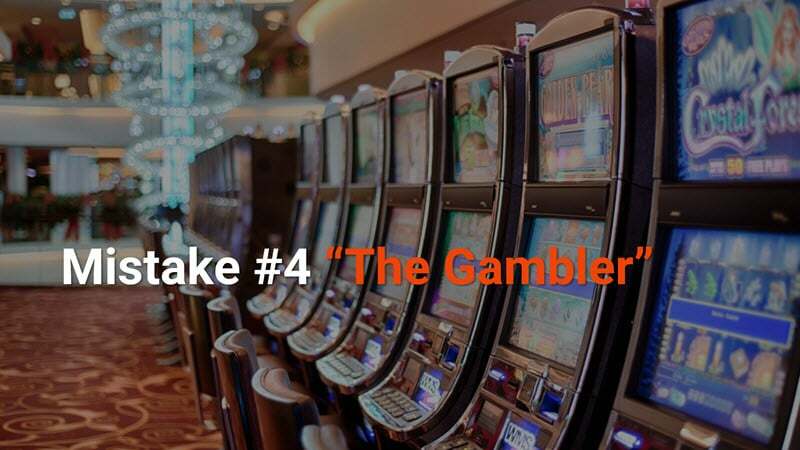 The fourth mistake, ”The Gambler,” is running ads to websites you don’t own. Today you learned that Data or Information is the holy grail of online marketing. The more quality data you have, the better the results you can produce, as long as you use it correctly. You only want to run ads to websites that you can put your tracking codes on. 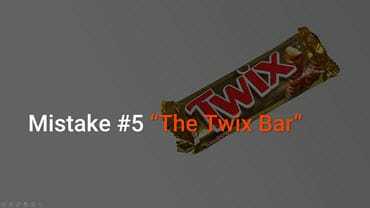 The fifth mistake, “The Twix Bar,” is not using a landing page or single property website when running ads. Use single property websites to remove distractions and generate higher quality leads for your real estate business. It can be your secret weapon to get more listings and qualified prospects. You’ve now learned the 5 mistakes and most likely are making one or two of them, maybe even all of them. Something has changed though and now you have a choice… a fork in the road. On one side, you can do nothing and just file away the information I gave you as “nice to know” or just tell yourself “Yeah, but” and insert whatever excuse you want. If that is you, then you really don’t need to hear anything else. On the other side, is one of action. Doing something with what you learned. Since you are still reading this then I know you are one of the smart agents out there and you will hit your goals eventually. Today, I want to turn that “eventually” into a shorter time frame. To help you do that, I’ve set aside some time to help a select few agents make the next move to grow their real estate business. Depending on when you are reading this it may or may not still be available. One of the many important things that I’ve learned over the years is that there isn’t a one-size fits all marketing approach to grow your business. Because of this, I’m giving a free consultation to work with you to develop a 30 day game plan for generating consistent leads online for you. It doesn’t matter if you are a brand new agent with no website or an agent that has been generating leads online for your business for years… my team and I can help you take your business to the next level. To set up your free no-obligation consultation with myself or my team, click here and choose the time that works best for you. I’ve only made a few spots per day available, and I don’t know how long I’ll be able to keep doing this special consultation, so act now and click this link to set your appointment with me today. Since you are still reading, I’ll let you in another little secret. The reason why Cambridge Analytica was so successful is because they had data, digital information about who they were targeting with their ads. There’s a good chance that you either don’t have enough data or don’t know how to use it, or you wouldn’t be reading this blog post. To win the online marketing game, you need to have good data AND know how to use the data to your benefit. By scheduling a call with me and my team, we can help you make sense of the information you have and be able to use it with integrity to sell more homes to qualified buyers or get more listings from people that want to sell their home. It’s time to click this link and pick the date and time that works best for you to chat with us and get your 30 day action plan for generating more leads for your real estate business. Click here and we’ll talk soon.